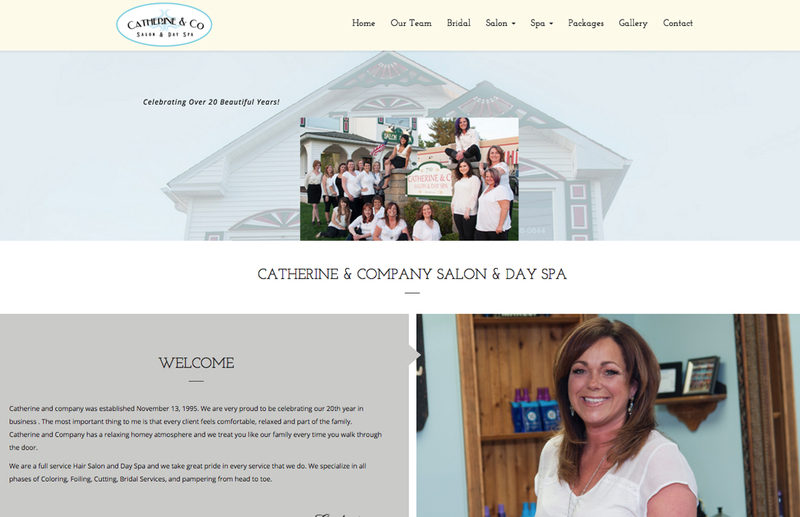 Catherine and Company Salon and Day Spa in Meriden, CT, has been a long time client of Wallfrog. We designed their first website 8 years ago. It was a great website for the times, but 8 years later a lot has changed with websites. Obviously one of the biggest changes has been the explosion of mobile devices. Most people these days are ditching their desktop computers in favor of a tablet, laptop or smart phone. Websites need to perform across all these devices, giving the website user the best viewing experience. Wallfrog designed their new website to be mobile responsive. The website will automatically respond to what ever screen size or device it is being viewed from.